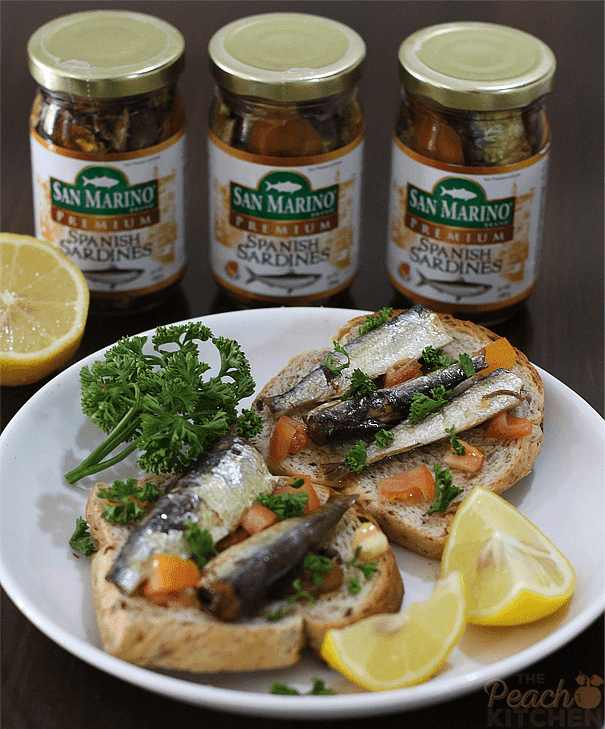 Sardines Toast is one of my favorite ways to eat San Marino Premium Spanish Sardines. It’s is healthy and flavorful. When you have a newborn to take care of, life is forever busy and there are times you wish that there are 48 hours in the day just so you can do all the things that you have to do. I love cooking but as you can see I can’t be bothered to cook these days. I am busy answering my little Twinkle’s beck and call. This is the reason why most of the things that makes up our weekly grocery cart are things that are easy to cook, easy to prepare, delicious, and healthy. Can you imagine how difficult it is to think about food that contains all of those qualities? Most of the food that are easy to cook (or no-cook) and easy to prepare are generally not healthy and delicious. Those that are healthy and delicious are not easy to prepare and easy to cook. This is how I found San Marino Premium Spanish Sardines. San Marino Premium Spanish Sardines are made with select freshly caught herring fish with intact scales. It is the best-tasting bottled Spanish Sardines in the market today. As a matter of fact, it doesn’t have that fishy taste that tells you the fish used wasn’t fresh. What I love most about it is that it has No Preservatives! Whenever I’m too busy or too tired to cook, all I do is open a bottle of San Marino Premium Spanish Sardines and whip up a plate of pasta, top this over hot steaming rice, sauté this with vegetables, or top in on buttered toast. Easy-peasy, healthy, and delicious meal for my family making it the best choice for every day meals whether it’s breakfast, lunch or dinner. 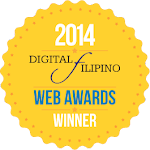 Did you know that San Marino Premium Spanish Sardines has Omega-3 that lowers blood cholesterol level? Eating this regularly would reduce the risk of having heart problems. San Marino Premium Spanish Sardines is a good source of protein and energy and only has 3g of carbohydrates so it’s also perfect for those people who are trying to lose weight or those who are trying to eat healthier. And if you think you can never indulge while trying to eat healthy, well, that’s where you’re wrong. 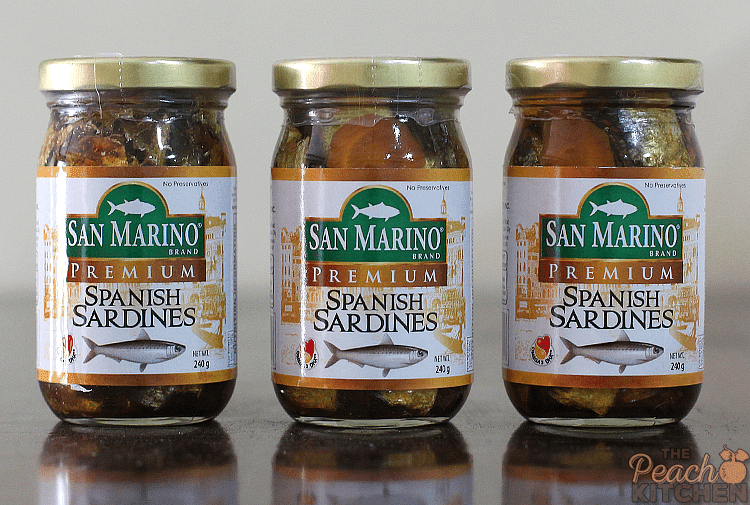 Indulge yourself to a luxurious dining experience with San Marino Premium Spanish Sardines. With it’s delicious and flavorful taste plus the health benefits you can get from it, it’s such a steal at ₱95! I will be posting a couple more recipes using San Marino Premium Spanish Sardines meanwhile I’m leaving you with this Sardines Toast, a simple breakfast I indulged in this morning. Toast your bread, I like them soft and warm and a bit crunchy. Spread some butter on top of each toast. 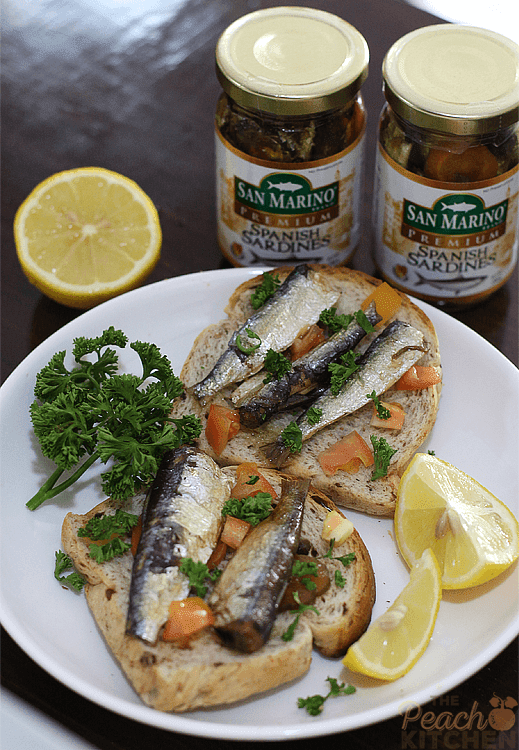 Top each toast with 2-3 pieces of San Marino Premium Spanish Sardines. Drizzle with lemon juice and enjoy! Yummy! My sister would definitely want to try this. Spanish sardines are one of her food faves! Thanks for posting! i love sardines! and seeing that this comes with health benefits, i definitely want to try this! I haven`t tasted San Marino`s Spanish Sardines but they look delicious. I `ll check this out in the grocery store next time. I often eat canned tuna but I think this is another one I should try. Ooh yum, I love Spanish sardines! I prefer to eat them with rice or crackers, though. Who would have thought that you can actually create another dish out of a sardines? I mean, my family and I would just open one and eat it as a viand. 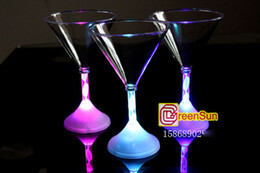 This would be nice to try. I also love Malunggay pesto! I like sardins to go with bread. It’s really easy to prepare and looks really delicious. We love San Marino and will definitely try this. Haven’t seen it in the grocery yet though but will be on the lookout. Why? Super yummy ng Spanish Sardines! I haven’t tried San Marino Sardines yet but would want to taste it too because their TUNA version was so siksik, I bet this variety will also do justice with the amount we’re shelling out. Oh my, I’m sure you’ll ove their Spanish sardines! Havent tried san marino sardines, it looks fresh and tasteful! Nice photos mommy! We actually have jars of gourmet tuyo here and crackers so I’ll probably make the same dish! bagay din to with crackers! I miss this. We used to go for bread and bottled spanish sardines when I was still stingle. Mmm..Getting hungry now! 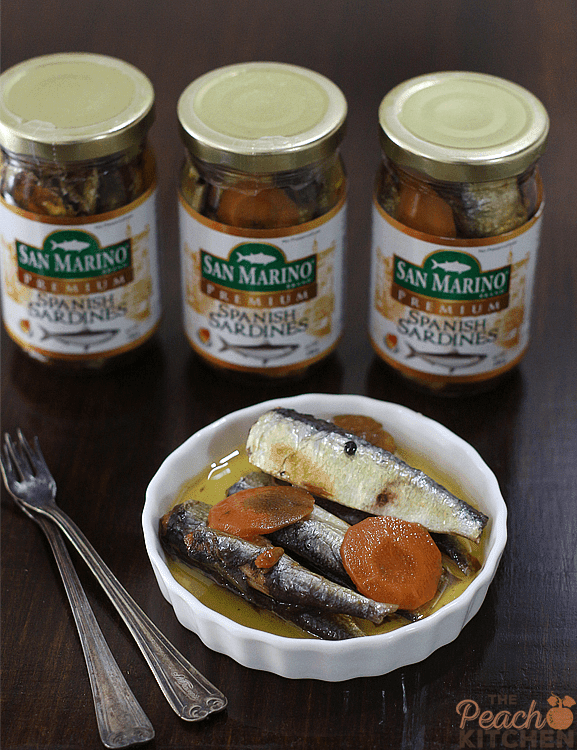 Try San Marino Spanish Sardines, super sarap! A fresher take on eating sardines. Love the sardines over bread recipe. Such a healthy food to snack on! You’re right. This will be a great meal to have on extremely busy days. Haven’t tried this brand of Spanish sardines though but I’ve tried the San Marino tuna and loved it so I’m sure this one tastes good too. This is so good, janice. I’m sure you’ll love it. I love Spanish style sardines though I haven’t tried San Marino yet. My current fave is the 555. I’ll definitely try this soon. Naku, Justin! You’ll love this! I use to be into sardines a long time ago. Now I think you’ve given me the taste once again. It’s been so long. I use to eat them on crackers for lunch…. now I remember why I stopped. Someone had commented on my breath and I stopped eating them. Try to have a mint after eating sardines…. grosssssssss. They are good for you though that’s for sure. Oh,wow this looks so good. My mom always used to make sardines toast when I was growing up! Such a healthy tasty snack! Awww, I’d love a good homemade sardines. I’ve never tried sardines before. I was always to afraid, but I love fish and eating healthy so maybe I’ll give this brand a try! I haven’t eaten sardines in years! Now you’ve got me yearning for them. I will look for this brand the next time I’m in the grocery store because they look really good. Yum! I’ve never tried them on toast, but I will. You just have to try this Alli! I have honestly never tried sardines. I know that many people like them and this looks appetizing so I may have to give them a try! You need to give this a try asap! I never would have thought to have tried sardines on toast like this. This looks like it would be perfect for a quick lunch. yes it is. super healthy too! I have never had sardines before, I have always been a little afraid. This recipe really makes them look appetizing. I would totally try that. I’m not sure I would make it but I’d try it. I’ve heard they’re very healthy for you too. This would make such a delicious and healthy lunch. I’d definitely want to make it for my family. Thanks Liz. I’m sure your family will love it. I’ve actually never had sardines, but you’ve sold me on trying them. I’ll have to look for this brand in the store. This is a great brand I hope you find it. I should really probably try sardines someday, but for some reason it’s one of the few foods that I just don’t have the desire too:-(. The way you use them looks like a great dish though! This is perfect for me as it can be handy and easy to prepare. The sardines also makes a perfect ingredient for a sandwich. I haven’t had sardines in such a long time. I used to eat them with my Dad with mustard and bread when I was really young. I look back at my younger self and wonder how I did that. Oh, I think I would want to try adding mustard next time. I can honestly say this looks really good. I used to be really anti-sardine but I have changed my tune in the past couple years! That’s great to hear. Sardines is healthy. Okay the bread alone sounds wonderful! Wheat Cranberry bread sounds like a wonderful fall treat. I honestly have never had sardines before. This looks like the perfect recipe to start with! Yes it is! Sardines is really good Britni! I love sardines! This is a perfect way to enjoy them. I usually toast and butter some bread and add the sardines. I can’t wait to try these. Thanks for the idea of adding butter! My husband loves Spanish sardines, it is always included in my grocery list. I always buy Zaragoza brand and I haven’t tried San Marino yet. You should give it a try. Promise, it’s really good. It looks like a gourmet dish! Good job on the plating, the sardines look really packed with flavor as well. How was it? I love Spanish Sardines so this for me was fantastic! I buy canned sardines, too, the hot and spicy ones. I haven’t tried the San Marino brand though. I think I’ll try this brand of Spanish sardines next time I go grocery shopping. By the way, love the recipe, simple and looks healthy indeed. I think I would like to add a slice of cheese on top. Oh, a slice of cheese would be great! I prefer tuna over sardines but can see that this would make a tasty snack for those who like sardines. Just curious, What is it that you don’t like about sardines? I’m sure you’ll love this too! Thanks Nilyn! I think so too! I always adore your talent on presentation sis. even a sardines still looks good in your photo. I think that’s a great talent of yours. What cam are you using? Thanks Theresa, I’m using Canon 650D. I love sardines but I only know 1 brand. This looks different than the usual in cans sardines but it really looks more healthy and delicious. It is more delicious! Try it na. I’m sure you’ll like San Marino. Oh I really like Spanish sardines. This is a must try. I will include this in our grocery list next time.